I have mentioned before that I like to bake. Something about it makes me feel very relaxed. So when I was going for Sunday lunch with the parentals I decided to bring the pudding. Also, Sunday was when my parentals were expecting to meet the Japanese ballet dancer who will be dancing with the Cape Town City Ballet for the next two years. Her name is Mami, she is 20 and is simply divine. But more about her in the future (on a side note she really likes my lemon tart). I found this tart in a PnP magazine a few years ago and have made it twice before and both times it has turned out rather well. The recipe asks you to make your own pastry – yeeeha! I loved doing this and your own pastry always tastes better. A note though, do not think about how much butter you are using in the pastry … butter is good. Remember fat = flavour. 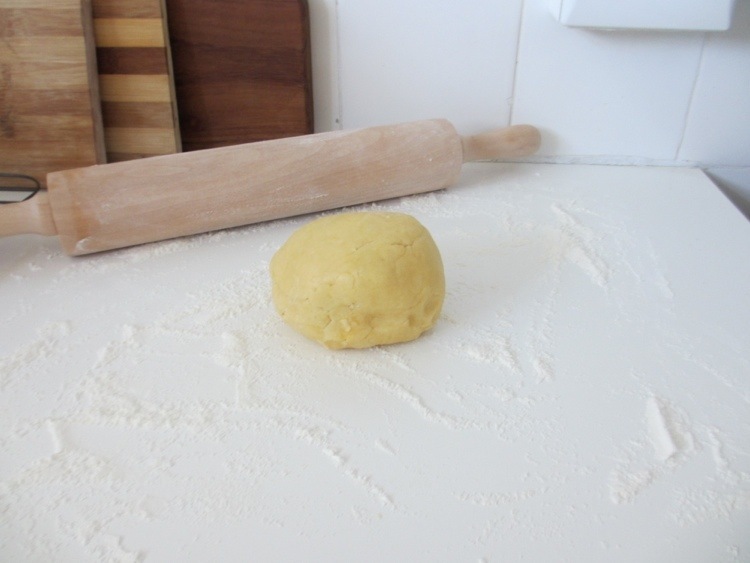 You need to make the pastry first and then leave it to rest is the fridge for at least 30 minutes before rolling it out and baking it blind. I decided to change the dish I use to make this and had it in a dish that wasn’t as deep as the previous times. his was the best idea. If you don’t know what baking blind means, it is when you bake the pastry without the filling while weighting it down with either baking bead things or my version is some kind of dried beans (not corn – this will not end well). While the tart casing is baking you can get started on the filling. This recipe calls for 2 lemons with both the juice and the rind, sugar, marscapone and eggs. This is all relatively quick and easy to prepare. Then you pop it into the casing and back in the oven for about 20 minutes until the filling is just set. You leave it to cool and before serving you can dust over some icing sugar. Serve with either cream or ice cream. Deeeeeeelicious, yummy delicious. 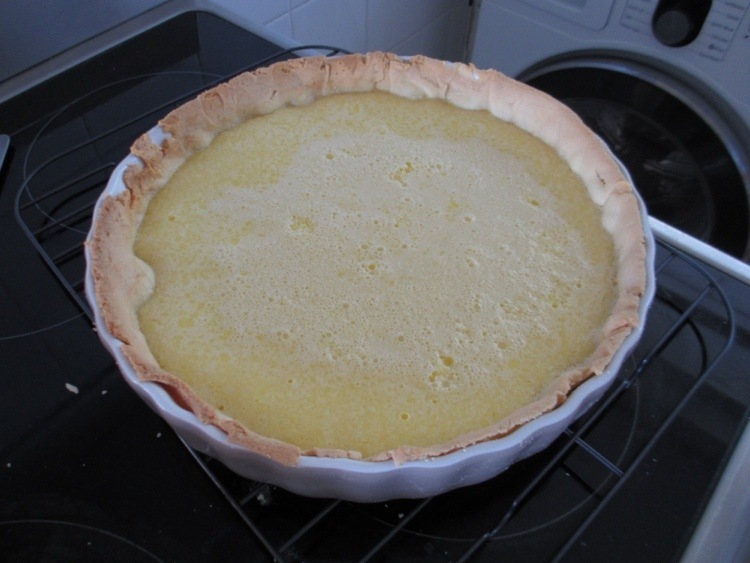 My hints would be to use a shallow pie dish that is quite wide so that the lemon layer is quite thin because the filling is tart and this just works better. PS check out the pastry and just as it came out of the oven below. 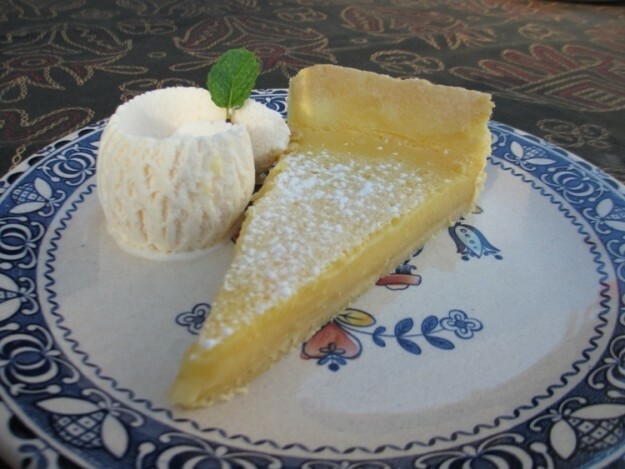 This entry was posted in Eat and tagged baking, lemon, pudding, tart. Was The Great Gatsby so Great? This was simply deeelishus! Mami’s eyes lot up when she was offered a slice on the following two nights. I love the wonderful appetite this ballerina displays and she is game to try all sorts of food. Back to the tart – the thinner filling worked very well. Just enough to get the juices flowing. Yummy. Makes my mouth water just thinking of it. That should be lit up!